Another excellent Common Craft video. This time it's Blogs in Plain English!! In your opinion what was the best invention in 2007? What Apple are doing to phones now what they did to mp3 players in 2001. Back then there were mp3 players on the market, but they were for the technical savvy user. Apple succeeded to simplify the device, make it stupid-proof and available for the mass market. Now everyone can use any mp3 player and there is a market awash with choice. Fast forward to 2007 and they are doing the exact same with phones! Simplified, pretty, stupid proof and everyone wants one. 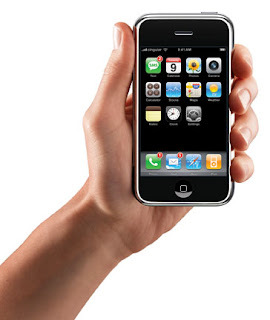 There are smart phones out there that do the same as the iPhone (except the multi-touch interface) and more! In a few years the iPhone you know now will be as old and useless as a 1st Gen iPod! Which invention has helped you most with your working life? Firstly, I'm a student and I don't work more than I have to. For the invention that helps me the most, I would have to say The Internet. It helps me out in so many, uncountable ways. Hey look! You are even using it now too! I bet that loads of people today will be coming up with loads of inventions that they say has helped them with their working life. Maybe. But what about the Internet? They have to write their blog post and publish it on the Internet! Lets face it, the Internet is the best invention ever. End. With a break to this weeks Science Week Ireland posts, I just have a video to show you. Click Play to watch. If you look close enough you can see Robin! What’s the next gadget that you want to buy? Installed Maps application covering over 100 countries. 2 megapixels more than my current camera. MP3, AAC, AAC+, eAAC+, WMA, M4A and Realplayer. That's right, surf the Internet over WiFi! So what about price. You can get it on Vodafone Ready to Go for €599 with €80 call credit, so really only €519. What if you were going to buy all these other devices individually? For the quad band, 3g smart phone with all the bells and whistles this one has like bluetooth and wireless Internet access, you will be paying about €250 at least and that is a low guess. A 5 megapixel point and shoot camera with the Carl Zeiss optics will be about €200. As for the multimedia player, the phone supports up to a 2GB microSD card, and you get a 1GB one with Vodafone. A 1GB iPod shuffle will knock you €79 and that doesn't even include video playback or the FM radio Nokia squeezed in there! Then there is the GPS navigation. The crown jewel in the phone! A stand alone version of this would be about €300, and this phone isn't like those stand alone ones, you can install whatever software you want! If you don't like the mapping system they use, get another one! You can't do that with your tom tom's what whatever! You get all this in one device for €519. So that is the device I would want to buy next! 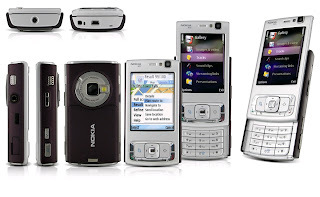 Then again, you could always just wait for the next big thing from Nokia, but won't there be something after that too? What invention do you want to see most in the future? As a student, I love stuff for free, and I'm guessing it's not just students like free things. Altho I'm sure other people won't just take thing that are free, just because they are free like us students. Moving back on topic, I would like to see a lot more free energy in the future. I want to see everything from mobile phones to cars to cities powered by free energy. No longer relying on burning fossil fuel, polluting the planet or invading countries to meet our growing energy needs. By free energy I don't mind what form it is in, it could be just making use of renewable sources and actually coming up with something that works and appeals to the mass market or there is the other crazy way of going about getting free energy. You may of heard about Steorn? Steorn are a Dublin based company that hit the media with their announcement of a free energy technology. Long story short, in 2006 they couldn't demonstrate the technology. In December they announced that they have a jury who will validate their claim. This summer they were supposed to give a demonstration but canceled due to "technical difficulties". They results of the jury will be announced by the end of the year, but I'm not going to hold my breath! There is a Free energy suppression conspiracy theory! Advanced technology which would allow us to better meet our energy needs exists today but is being suppressed by special interest groups to whom the status quo is advantageous. Even tho I love my fair share of conspiracy theories, I hope this is not true. Some day we will have to address the issue of energy production, where we get it from and how we use it and hopefully we will have an invention what will produce free energy that we can all carry around with us or have in our homes! What was the favourite invention from your childhood? Altho after doing a bit of research for this post, it turns out VHS was invented 6 years before I was born in 1976. But then again I don't think VHS players were readily available till the mid-80's as the Betamax/VHS war was only just about over when I was born in '82. I can still remember two films that we were allowed rent, and we rented them many times. First was Santa Claus: The Movie and the other was Zig and Zag's: Nothing to do with Toast! We didn't mind one bit that we saw them before and could probably could recite the entire movie from heart, but back then there wasn't many children's films out. We probably got to see these once in a blue moon because we didn't have a VHS player. We either had to rent one from the video store or borrow one but I didn't mind, I got to see Zig and Zag 3 times in a row!! Later on, I think that VHS had a huge impact on the way we spent out time and our habits. A trip to the video store was nearly a weekly occurrence (with the amount of TV channels we had, you could count on one hand) and we got to bring the big screen into our home and watch films that we were not able to see in the cinema. The best thing about VHS has to be the possibility to record TV. No longer were we slaves to the program schedulers! We were liberated and free to go about and live our own lives and watch TV as we pleased! Even to this day you can get a VHS player to record your favourite programs!! Microsoft are allowing you to download Visual Studio 2005 Professional Edition for free! All you have to do is head over to ImagineCup.com and sign up for the competition. You are supposed to be a student (which they don't check...) and there is no pressure to enter the competition! Sign up, download and enjoy! All legit! You can also download these other full versions too!! For Free! Some of my classmates doing the Masters in Business Information Systems with me are doing a project and need some market research. Can you help out with this quick survey? We're a group of MBSBIS Postgraduates and are developing a commercial product as part of our studies. The product is greeting cards with a recordable device where you can record your own personal message - 10-12 secs long. We need feedback from you all in order to have these cards available for Valentine's Day so could you please fill out our "REALLY" short survey using the link below. My Blog has moved up the ranks to PageRank 4/10! I only just noticed when I saw a badge that people are putting on their websites to show that they are a PageRank victim after Google dropped a load of sites rank recently. Now that Hallowe'en is finished for the year, it has given everyone the all clear to start to talk about the C word. I'm going to get ahead of the crowd and wish you all a very Merry Christmas and a Happy New Year now! I also decorated my site... i tried so hard to get the snow flakes to fall, but in the end went for a ribbon just wishing my visitors a Happy Christmas! Let the merriness and jolliness begin... I'm sure it will be over before we know it :-) Only 53 more days to go!